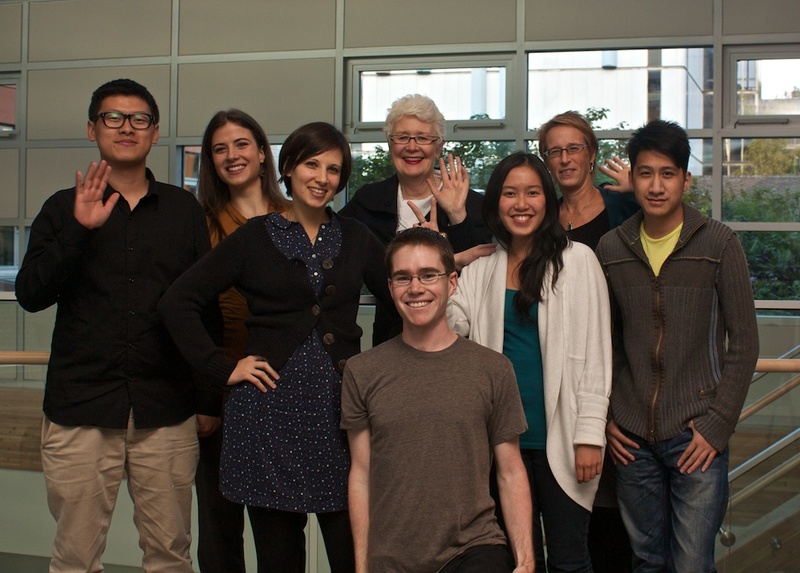 As UBC settles into the new school year, a new team is beginning their work with the studio. This post will introduce you to the new team members. Andréanne Doyon is the studio’s fulltime Research Assistant. She has a MA in Urban Planning and a BA in Sociology and Asian Studies from UBC as well as her LEED GA accreditation. Andréanne is interested in the interactions between humans and the environments we create as well as cultural sustainability. The studio fits well with her interest in learning and teaching. She says, “I like introducing people to different ways of thinking and new experiences.” Beyond the academic setting, Andréanne used to ski race competitively, and has also coached and heli-skied. Daniel Gipps is coming on as the Project Manager for the team. He is a fourth year Arts student at UBC majoring in Economics. Daniel’s wide range of academic interests most recently includes public policy, especially macroeconomic policy surrounding central banks. Daniel says, “I enjoy the challenge of taking what first appear simply as ideas and fleshing them out, estimating what it will take to get them done, and then getting them done.” A random fact about Daniel outside the work setting is that he competed in the B.C. Summer Games in archery. Shirley Ho is stepping into the role of Communications Officer with the studio. She will be covering website management, website branding, social media and event promotion. Shirley is a third year Science student majoring in Cognitive Systems in the Computational Intelligence & Design Stream. Shirley says, “While a big part of my major involves learning about machine and human interaction, I have discovered that I am primarily interested in user interface design.” Working with the studio fits well with Shirley’s interests in creating user friendly websites and graphic design. Her creative and technological skills merge outside the academic setting in a love for photography. Amelia Waiz (who wrote this great blog for me — thanks!) will be working with Shirley on the studio’s communications and public relations tasks focusing on written and spoken communications. She graduated from UBC last year with her BA in Psychology and she is currently taking classes relevant to communications and writing. Her interests are in journalism, creative writing and communicating research in an accessible way. In the coming months, she is especially looking forward to helping to promote the Innovation speaker series and assisting with expanding the studio Thinking Strategies. Joey Young is a Commerce Undergraduate Scholar working on research in behavioural economics. He will be conducting research on the Sauder Studio Team. He is in his third year majoring in Finance. He says, “I study finance because I enjoy the quantitative side of corporations and capital markets. I also am very interested in economics, particularly game theory and strategy.” Working with the studio fits well with Joey’s interest in the way people think and behave. He will be completing field studies on how people make decisions in the context of the studio’s focus on design thinking. Outside academia, you might find Joey religiously following baseball scores. The new team will be working with me and Denise Withers. I will direct the team and establish strategies and goals. Denise Withers’ role as Manager of Learning Design at the Sauder School of Business involves guiding the studio’s project design, development and delivery. I would be remiss if I didn’t thank Miguel Guerrera, Sunil Mirpuri and Martina Valkovicova for all their great work as the inaugural Sauder Studio team. The coming months will be exciting at the studio with many learning opportunities for the new team. Congratulations to the new team! You are going to have lots of fun working on this amazing project and especially with Moura and Denise who have been an incredible wealth of knowledge for me. Enjoy!